Wet Location certified option of our 4″ slim model. 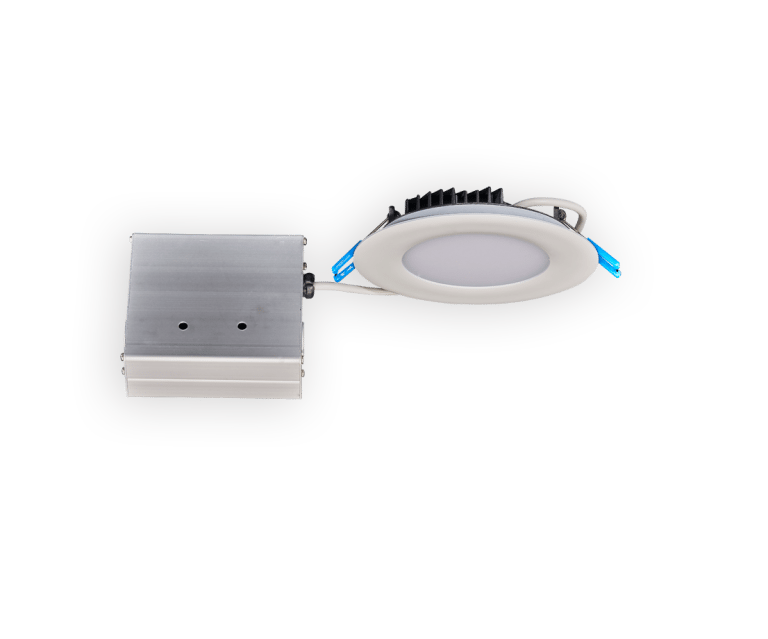 Round 4″ fixtures with integral LEDs. Isolated external driver factory installed inside junction box. One driver for every fixture required. Suitable for Wet Locations – Showers and Outdoor installations. Not suitable for steam showers and saunas. Or install all drivers at one location and use low voltage extension cables to the fixtures. Use only extensions provided by the manufacturer. Available jumper cables are 6 feet (1.8m) and 20 feet (6m). Cables are linkable. Maximum run should not exceed 40 feet (12m).